One: Who owns Sydney? Two: We're all environmentalists now? Three: Where's my desk? The city’s skyscrapers are owned by a surprisingly small number of entities. Long gone are the days when commercial buildings were owned by sleepy family trusts or owner-occupier businesses. Many iconic towers on Sydney’s skyline belong to a rising echelon of institutional landlords, giants like real estate investment trusts (REITs) and managed funds ─ stock-market listed or unlisted ─ and global or local pension and sovereign wealth funds. According to the Better Buildings Partnership Progress Report of last December, “over 50 per cent of Sydney’s commercial office building stock is concentrated in the hands of fourteen commercial property owners”. Harry Seidler’s Grosvenor Place and Australia Square (or shares thereof) sit in the $13 billion portfolio of the listed Dexus REIT, together with the Gateway at Circular Quay, Governor Phillip and Governor Macquarie Towers, state-of-the-art 1 Bligh Street, and around eleven other prominent office blocks. With a portfolio worth around $15 billion, GPT Group, also listed, owns another sizeable chunk of the CBD, amongst them shares in Seidler’s MLC Centre, the art-deco HSBC Centre at 580 George Street, three blocks forming the Darling Park complex at Darling Harbour, the Citigroup Centre on the corner of George and Park streets, and others. The listed Charter Hall REIT holds eight premium-grade towers in its $10 billion portfolio, including 1 Martin Place. Then there’s Lendlease’s multi-billion dollar property fund containing Darling Quarter, 420 George Street and soon Barangaroo South. Not to be forgotten is the wave of foreign capital pouring into the safe haven of Sydney real estate over recent years, tipping the Queen Victoria Building and The Galleries into the Singapore Government’s sovereign wealth fund and other landmarks into Asian and European REITs. Sydney was the world’s fourth most popular destination for cross-border property investment in 2010. How do these massive, profit-making entities with their energy-hungry skyscrapers relate to a City Council that proclaims an entirely different set of priorities? While Lord Mayor Clover Moore does occasionally tout Sydney CBD as a commercial powerhouse, accounting for 9 per cent of national GDP, she’s also on a mission to save the planet. As the slogan for Sydney 2030, her strategic plan, she chose “green, global and connected,” with the emphasis on green. Sydney Council’s policy documents are full of green schemes and projects, including the controversial cycle-ways network. Sustainability appears to trump profitability in Clover Moore’s world. The city’s powerful property interests could crush her green vision tomorrow. So why don’t they? NEXT ARTICLE: The green and the gold: How Clover Moore made the city’s owners an environmental offer they couldn’t refuse. Two: We're all environmentalists now? In the last article we saw how Sydney’s CBD is now owned by a surprisingly small number of entities. How did the city’s mayor persuade them to accept her pricey environmental vision? Over 50 per cent of Sydney’s commercial office building stock is concentrated in the hands of fourteen commercial property owners. Bestriding the CBD like colossi, these institutions are more than comfortable with Clover Moore’s green regime, and with reason. The centrepiece of her vision is Sydney 2030, a Community Strategic Plan for the next decade, laying out a framework across 10 strategic directions. Most directly implicated in her green mission are direction 2, to make the city “a leading environmental performer”, and direction 9, to encourage “sustainable development, renewal and design” in development and renewal projects. Direction 2 bestows a suite of immediate and tangible goodies on the property sector. The Better Building Partnership offers help to “improve the environmental performance of commercial buildings” through the CitySwitch Green Office program, “working with commercial office tenants to help them improve their energy efficiency and environmental performance”, and through the Environmental Upgrade Finance program, “to assist [owners] in building upgrades”. Council publishes a schedule matching its total spending to the 10 strategic directions. In 2011-12, $85.8 million was earmarked for “direction 2” activities, rising to $99.8 million in 2013-14, and $30.6 million for “direction 9” activities, rising to $32.4 million. This isn’t small change, either absolutely or relatively. Together they come to 20 per cent of Sydney City Council’s total 2011-12 expenditure of $577.8 million. The Better Buildings Partnership is an alliance between Sydney Council and “founding member” landlords owning 60 per cent of CBD office space, including Dexus, GPT, Charter Hall, Lendlease, Mirvac, Investa, Brookfield, Colonial First State Asset Management, AMP Capital Investors, Frasers Property and Stockland (see previous article for a list of many of the buildings owned by these entities). Governed by a 9 member committee, 8 representing founding members and 1 Sydney Council, the partnership is currently chaired by a GPT executive. Two Council officials staff the secretariat. The committee manages practical aspects of connecting member properties to Clover’s ambitious energy, water and waste efficiency schemes, all in the name of “sustainability”. Under its Energy Efficiency and Decentralised Energy master plans, Council planned to build a network of electricity-generating transformers across the CBD to replace the New South Wales power grid. They were to burn natural gas to power clusters of surrounding buildings, and exploit waste heat to supply heating, hot water and cooling via a heat-driven chiller (‘trigeneration’). The idea is to bypass the state’s “dirty” coal-fired stations. But last month Clover’s agreement with Cogent, a subsidiary of Origin Electricity, to kick-off the network at Green Square and around some central CBD precincts collapsed. It was announced that the economics of trigeneration don’t “stack up” at this point. Council has now released a new Renewable Energy Master Plan, currently on exhibition. 100 per cent of the city’s electricity, heating and cooling is to come from local sources by 2030, and 30 per cent from renewables like solar, wind and energy from waste, at an estimated cost of $1.25 billion. The objective remains to wean the city off the NSW power grid. Property owners and tenants connected to the system can still expect savings on their energy bills, especially if Council defrays some or all of the retro-fit costs. Similarly, Council’s Decentralised Water Master Plan aims to roll out an off-site recycled storm and waste water network, supplying non-potable water for cooling towers, toilet flushing and irrigation. Here the objective is to dramatically cut mains water consumption in the City of Sydney, again with potential savings to connected properties. Then there’s Council’s Automated Waste Collection Master Plan, setting up a system that evacuates recycled and non-recycled waste underground via pipes to a network of receiving stations, in the hope of reducing “waste collection transport emissions”. Such electricity, water and waste plans come under Council’s Green Infrastructure Master Plan, which appears to have received $23.3 million in 2011-12, according to the financial statements, and is set for a total of $103.8 million between 2011-12 and 2014-15. This is on top of the Sydney 2030 spending mentioned earlier. Speaking of Sydney 2030, the CitySwitch Green Office program helps landlords leasing more than 2000 square metres of office space to achieve a mandatory NABERS rating (a one to six star green rating scale, based on criteria like energy and water efficiency). Old service systems like lighting and air conditioning are replaced with new ones that require less power. Council guarantees the funding from a financial institution by dedicating some of the rate revenue from the property. Defining a new premium grade for building stock, NABERS has enhanced the capital value of the most highly rated assets by making them cheaper to run. This is a boon for large institutional landlords, particularly listed trusts and fund managers that value stable capital growth as much as income and trade or “recycle” assets to manage their portfolios. According to a 2011 Australian Property Institute study, office buildings with a 6 star NABERS rating enjoyed a premium in value of 12 per cent, those with a 5 star rating 9 per cent, those with 4.5 stars 3 per cent, and those with 3 stars 2 per cent. All of this begs the question, though, of why other ratepayers – such as residential and small business owners – should be handing such gifts to the property behemoths. The 2011-12 spending for strategic directions 2 and 9 of $116.40 million and green infrastructure of $23.3 million amount to a whopping 54 per cent of that year’s expected rate collections of $255.7 million. Why your work station is under threat – if you still have one. For Sydneysiders, 120 Pitt Street – also known as 5 Martin Place – enjoys iconic status as the model for a money box distributed to countless school children until the 1960s. In 2011, the Commonwealth Bank sold its former headquarters to a super fund, and last year Macquarie Bank bought the property to refurbish as its head office. This was the latest move in a multi-million dollar game of musical chairs, which has seen banks and financial institutions circulate around the CBD in search of cost-effective accommodation. The financial services industry looms large over Sydney. Twenty per cent of Australia’s finance sector is concentrated in the CBD, absorbing 35 per cent of the office space (say agents Jones Lang LaSalle). No less than 82 per cent of the country’s domestic and foreign banks are headquartered in Sydney, where 65 per cent of all trading activity takes place. You get the picture. Banks, non-bank lenders, fund managers, insurers, stock brokers, and related services are a powerful force in the city’s economy. Market pressures, before and since the financial crisis, have forced Australian banks to reduce their cost-to-income ratios from around 60 per cent in the late 1980s to around 45 per cent today. In part, this has been achieved by extracting higher value out of every inch of floor space. The pressure has not let up, judging by a recent CBRE report which ranked Sydney the 13th most expensive office market in the world (Hong Kong’s Central District topped the list). The most expensive markets had a high exposure to financial services, said the report’s author. To save costs, the big banks are cramming their operations into fewer locations, abandoning the stately digs of Martin Place. The shift is to state-of-the-art structures with large floor plates in peripheral blocks, like the CBD’s ‘western corridor’. The Commonwealth Bank has gone to a 55,000 square metre campus-style development at Darling Quarter (southern tip of Darling Harbour). Westpac has moved to 275 Kent Street, NAB to 255 George Street and ANZ awaits the completion of 242 Pitt Street. Some are reserving space in International Towers Sydney 1, 2 and 3 at Barangaroo South. These are highly green-rated towers, built or retro-fitted with the latest energy and water efficiency systems. Lord Mayor Clover Moore may be a hot gospeller for climate, but she’s not about to drive out the money changers. That’s why her green agenda dovetails neatly with the industry’s cost-saving imperatives. Through the Better Building Partnership, Sydney Council actively helps landlords and tenants to green their offices, allocating up to $85.8 million for such purposes in 2011-12 alone. Darling Quarter shows up on the Partnership’s website as a ‘showcase initiative’. Finance sector and other tenants are getting better lease conditions, with not only lower utility costs but also more efficient floor-plans. Across the city, high-grade offices are being fitted out for a new ‘workplace philosophy’ sweeping the white-collar world. Conceived by the Dutch consultancy Veldhoen + Company, activity-based working or ABW is the current fad in a line stretching back to ‘the non-territorial office’, ‘open plan’, and ‘hot desking’. Free of fixed offices or workstations, workers roam across a variety of rooms and spaces depending on the task at hand. The trend has been accorded rapturous coverage. ‘Gen Y shuts door on open-plan century’, blared the Sydney Morning Herald in a profile of Macquarie Bank’s offices at 1 Shelley Street, also in the western corridor. Employees ‘start the day at an “anchor point” where their locker is and which they share with about 100 other workers … they might stay around that area for the day, with a choice of work situations ranging from quiet spaces to conversation areas, or they may set up somewhere else depending on who they need to see.’ With wireless technology, a laptop and a mobile phone, ‘everyone can move from space to space and hardware isn’t an inhibitor’. ABW-compatible buildings have large floor plates to bunch a lot of workers and work spaces together, and use plenty of glass in windows, partitions and lifts to distribute natural light. The towers at Barangaroo will have floor plates of around 2,500 square metres, massive by Sydney standards. Struggling with acute pressures of their own, media groups have reason to hype the virtues of ABW. Fairfax Media has ceded two of its five floors at Pyrmont to Google, and shifted many staff to ABW-style practices, branding them Real Time Management. But ABW addresses an issue even more pertinent than saving energy. Between 55 and 85 per cent of desks in a traditional office are not used at any given time. Studies show that ‘trading off individual territory for shared areas’ can reduce floor space requirements by 20 to 40 per cent. By cutting the amounts paid for rent and outgoings, says a Collier International researcher, ABW could reduce a firm’s total accommodation costs by up to 30 per cent. Green or not, that’s money in the bank. Trams continue to exert a romantic attraction for many of us. But the reality might be different. What do Sydney and Copenhagen have in common? Not much, if the truth be told. One’s a modern metropolis of 4.6 million people, sprawling over 12,000 square kilometres on the warm Pacific Rim, the other a historic centre with less than half the population, squeezed into a quarter of the area, on the frigid Baltic. Not that it matters to Mayor Clover Moore. To ease the city’s chronic traffic congestion, she turned to Jan Gehl, a Danish architect famous for banishing cars from little Copenhagen. Professor Gehl is a well-known advocate of pedestrian-oriented urban design, having advised a number of cities how to rid their streets of cars. His crowning achievement is Copenhagen’s three kilometre long ‘Strøget carfree zone’, reputedly the world’s longest pedestrian shopping precinct. 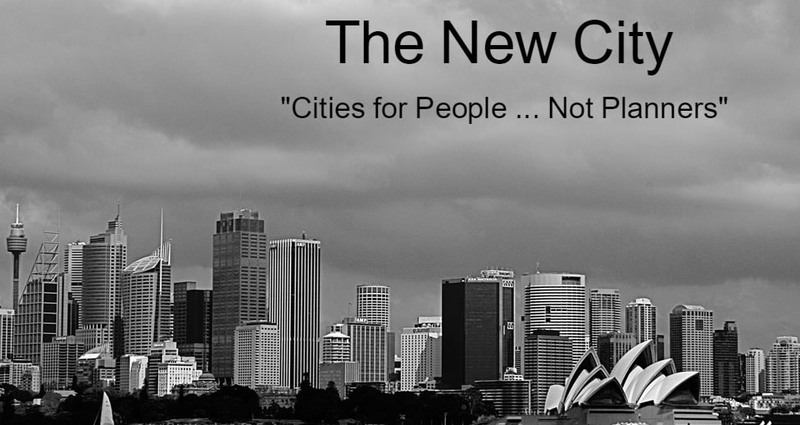 At Mayor Moore’s behest, Gehl spent 2007 nosing around the city before handing her Public Spaces, Public Life Sydney, his 114 page “blueprint to transform our CBD into a people friendly, public transport oriented, green, connected, attractive and distinctive city heart”. Most dramatically, he proposed banning all private vehicles from George Street, Sydney’s ‘spine’ as he aptly calls it, along its whole length from Circular Quay to Central Station. He wants it reserved for pedestrians, public transport, preferably light-rail, and bicycles. His other big ideas hang off this radical scheme. Three large public squares, also vehicle-free, he said, should punctuate George Street at Circular Quay, Town Hall and Central. A slice of Park Street should also be given over to pedestrians. He even threw in a few perennials, like demolishing the Cahill Expressway and burying the Western Distributor underground. It was music to the mayor’s ears, as she cranked up her own anti-car campaign. Much of Gehl’s vision found its way into Sydney Council’s Connecting Our City transport plan, including extension of the inner-west light-rail from Central to Circular Quay along George Street – converted to a ‘pedestrian boulevard’ between Hunter and Bathurst Streets – and at least two public squares, at Town Hall and Central. The plan aims to cater for an extra 110,000 CBD jobs over the years to 2036 by shifting demand ‘to the most space efficient [transport] modes’. For some, though, a lot of this seems wildly impractical. First, the CBD is a relatively small space enclosed by physical boundaries on three sides: Darling Harbour-Walsh Bay in the west, Sydney Harbour across the north, and the Domain-Hyde Park along the east. So there is a high concentration of skyscrapers in the blocks north of Martin Place. While this area of dense office space attracts considerable traffic, more so when Barangaroo is finished, entry and exit points are limited by the boundaries (in contrast to Melbourne). On a typical weekday, according to Council estimates, there are around 400,000 trips to and from the CBD. Flexibility of traffic routes is at a premium. Closure of George Street would split the CBD like a ‘Berlin wall’. Mayor Moore is a fan of New York Mayor Michael Bloomberg, a green soul-mate who pedestrianised a section of Broadway, Times Square and Herald Square in Manhattan. But Manhattan is an order of magnitude larger than Sydney, laid out to a grid of around 17 north-south and 200 east-west thoroughfares. Sydney has around 9 north-south and 11 east-west thoroughfares, and they are narrower than New York streets. Martin Place, Barrack Street, and some of Pitt Street are already closed to traffic. And Sydney is a modern, commercial city, not an historic or administrative centre, or a national capital like Copenhagen. Sydney was never laid out to a plan, but grew organically. There are no extensive blocks of grand, state buildings as in many European cities. It has only a few landmarks or monuments of historic significance. Buildings are raised up and torn down according to commercial imperatives. Overwhelmingly, building stock is allocated to commerce, and commerce means traffic. The harbour will always be Sydney’s most attractive feature. Those with the dollars compete for views of that spectacular waterway, locating as close as possible to the water, the bridge, Circular Quay and the Opera House. So the demand for office space is most intense in the northern blocks and declines southward. Yet street closures can only work if development spreads south. This is to deny the gravitational pull of the harbour. As for efforts to move people onto public transport, the proportion of CBD workers commuting by private car is already down to 18.7 per cent, says the Council’s plan. So light-rail won’t have much impact there. Any congestion relief would come from shortening the convoys of buses lining up at peak periods. A few years ago, however, in a scathing article, John Lee, the former Director-General of NSW Transport, pointed out that buses amount to just one per cent of CBD traffic, while cars make up 67 per cent (presumably, the rest are commercial vehicles like trucks and vans). He called light-rail ‘a cargo cult’. Officials at Infrastructure NSW seem to agree. The State Infrastructure Strategy discounts light-rail as less flexible in traffic than buses, and finds George Street too narrow to function as an effective light-rail corridor given its high pedestrian volumes. ‘[T]o provide a highly reliable mass transit service would require very high levels of intersection priority (with adverse implications for east-west traffic flows and pedestrian movement),’ says the strategy. Moreover, Sydney’s population isn’t dense enough to support light-rail, and won’t be for another 20 years or more. A Bus Rapid Transit tunnel from the Harbour Bridge to Town Hall is recommended instead. Surprisingly, Premier Barry O’Farrell ignored his own strategy and lined up with the mayor, announcing support for a new light-rail line down George Street from Circular Quay to Central, and then on to Randwick and Kingsford. Work is due to start in 2014 and finish five or six years later. The inner-west light-rail from Central to Lilyfield is already being extended to Dulwich Hill. George Street will be converted to ‘a pedestrian zone’ between Hunter and Bathurst Streets, as suggested in Council’s plan. This is interesting. Perhaps Mr O’Farrell baulked at the cost and disruption of building an underground bus tunnel, especially since Mayor Moore was offering $220 million for light-rail. Whatever the reason, Sydney is set for its biggest experiment since the monorail. And we know how that turned out. More articles are here and follow us on twitter or request our free email updates here. Copyright© 2017, The New City. All rights reserved.